Proposals in the Texas House would spend $6.6 billion from the state’s savings account; the Senate would spend $4.4 billion. To pay for the costs of Hurricane Harvey recovery, a massive IOU leftover from the last legislative session and an ambitious agenda this year to invest in public schools and property tax relief, Texas lawmakers are likely to make a record-breaking withdrawal from the state’s savings account. 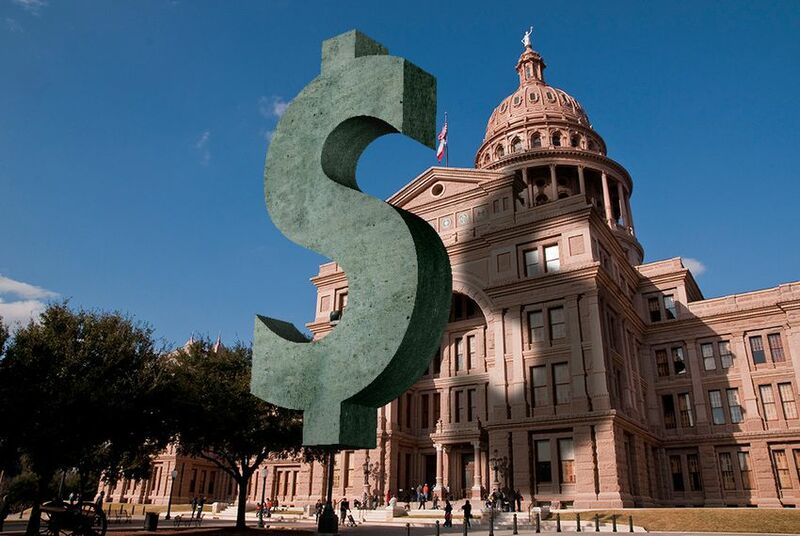 A pair of proposals in the Texas House would spend a whopping $6.6 billion from the Economic Stabilization Fund, also known as the rainy day fund, from now through 2021. In addition to Hurricane Harvey recovery, the proposals would fund a laundry list of items, including a “13th check” paid to retired teachers with state pensions and a $183 million research incentive program for public universities. Taken together, the House proposals would leave about $8.4 billion in the savings account at the end of the two-year budget cycle, compared with the roughly $11 billion the account holds today. The Texas Senate, meanwhile, would spend $4.4 billion from the account for 2019 expenses. Most of that funding — about $3 billion — would pay for Hurricane Harvey recovery and an investment in future disaster-resiliency projects. The proposal also includes $100 million for school “hardening” projects meant to improve student safety. While some some fiscal conservatives argue that many of the proposed withdrawals from the fund are unnecessary, budget writers say they focused their withdrawals on critical needs for the state. "The supplemental budget provides funding for some of the Legislature's key priorities - Hurricane Harvey relief, school safety and healthcare needs,” said state Sen. Jane Nelson, a Flower Mound Republican and the chamber’s chief budget writer. Lawmakers will spend much of the next two months working to reconcile their competing proposals. The next step will likely come on Wednesday, when the 150-member House is expected to vote on its versions of the supplemental budget — which mostly covers leftover bills coming due — and the 2020-21 budget. This week, the budget-writing Appropriations Committee unanimously approved the supplemental bill while passing the 2020-21 budget. State Rep. Matt Schaefer, a Tyler Republican and former Freedom Caucus chairman, was the lone no vote, saying the spending plan was excessive. The Texas Senate, which unanimously passed its supplemental budget last week, is scheduled to take up its 2020-21 budget plan in committee on Thursday. The governor must sign a supplemental budget agreed on by both chambers before the end of May, or the state will run out of cash to make payments to health care providers who treat patients in Medicaid, according to the Texas Health and Human Services Commission, which administers the federal-state health insurance program for the poor and disabled. The proposals come at a time of record prosperity for the 32-year-old state savings account, which is fed by oil and gas taxes. The current record for the fund’s largest withdrawal belongs to 2011, when lawmakers withdrew $3.2 billion amid a national economic downturn. State officials predict the Economic Stabilization Fund will grow by more than $3 billion over the 2020-21 budget cycle. Texas’ savings account is poised to hit $15 billion. How much will lawmakers spend?